What is Credit for a Business Loan? Banks look carefully at borrowers before they lend money, especially in tough financial times like these. The #1 reason banks say no to small business loans is "credit," both poor credit and lack of credit. Although the general credit principles are the same, lenders look at business loans differently from personal loans. The lender looks primarily at the credit of the business. That's fine for an existing business, but what about a startup business? In this case, the lender must include the credit of the business owner. Because business loans are the riskiest of any type of loan, lenders are much more strict with their criteria. Don't be surprised if your personal credit history is scrutinized, as well as the credit of the business. What bankers look for in their approval process for business loans can be summarized in the following criteria, termed the "4 C's of Credit." Character refers to the financial history of the borrower; that is, what kind of "financial citizen" is this person or business? Character is most often determined by looking at the credit history, particularly as it is stated in the credit score (FICO score). Factors that will affect your credit score include: The fewer the problems, the higher the credit score. A high personal credit score (over 700) may be the most important factor in getting a business loan. Business and personal credit are two different things. Most new businesses have no business credit, so they must use the personal credit of their owners. In such situations as business loans and leases, the owner may need to give a personal guarantee. Capacity refers to the ability of the business to generate revenues in order to pay back the loan. Since a new business has no "track record" of profits, it is riskiest for a bank to consider. If you are buying a business, capacity is easier to determine, and a business that can show a positive cash flow (where income exceeds expenses) for a sustained period of time has a good chance of getting a business loan. Capital refers to the capital assets of the business. Capital assets might include machinery and equipment for a manufacturing company, as well as product inventory, or store or restaurant fixtures. Banks consider capital, but with some hesitation, because if your business folds, they are left with assets that have depreciated and they must find someplace to sell these assets, at liquidation value. You can see why, to a bank, cash is the best asset. Collateral is the cash and assets a business owner pledges to secure a loan. 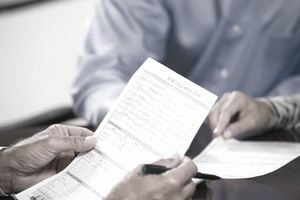 In addition to having good credit, a proven ability to make money, and business assets, banks will often require an owner to pledge his or her own personal assets as security for the loan. Banks require collateral because they want the business owner to suffer if the business fails. If an owner didn't have to put up any personal assets, he or she might just walk away from the business failure and let the bank take what it can from the assets. Having collateral at risk makes the business owner more likely to work to keep the business going, as banks reason it. Pledge your own assets in case the business fails or get a co-signer who has assets to pledge. In some cases, it might be easier just to take your own money and go start your business.